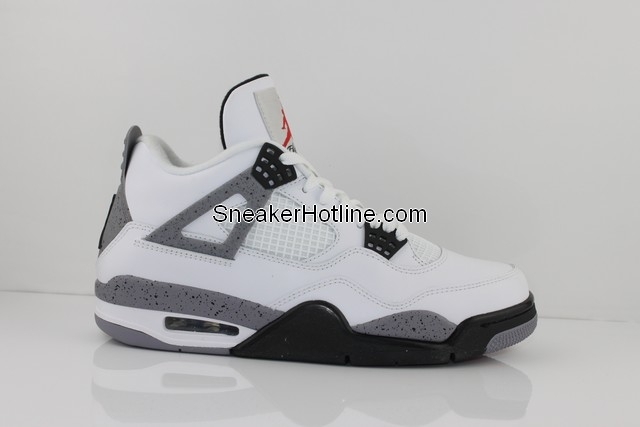 Here's our latest look at the "Cement" Air Jordan Retro 4, which is slated to make a return to retail in mid-February. 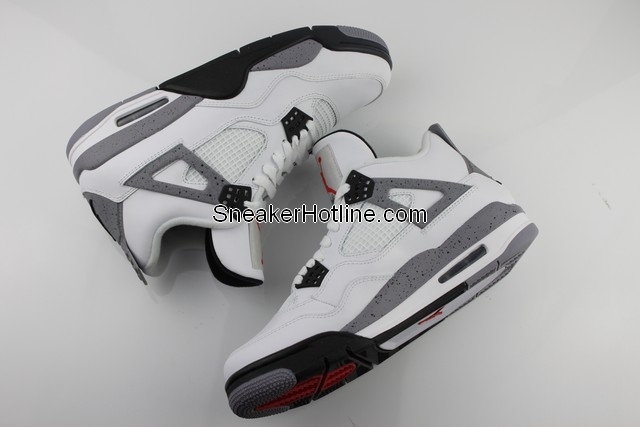 Here's our latest look at the "Cement" Air Jordan Retro 4, which is slated to make a return to retail in mid-February. 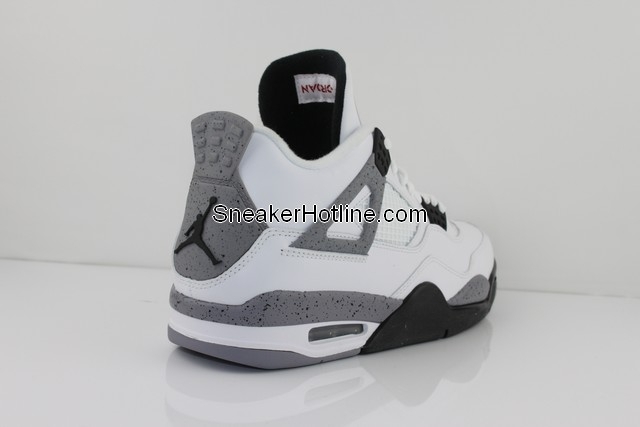 Originally worn by MJ during the 1988-1989 NBA season, the shoe features a white leather base with speckled grey detailing on the support wings, heel tab and midsole. 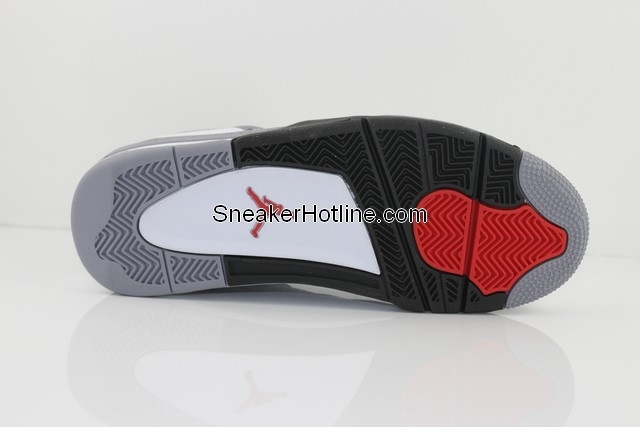 Black works the upper and lower lace tabs, tongue lining, Jumpman branding on the heel and the remaining portion of the midsole, while a multicolor rubber outsole caps off the look below. 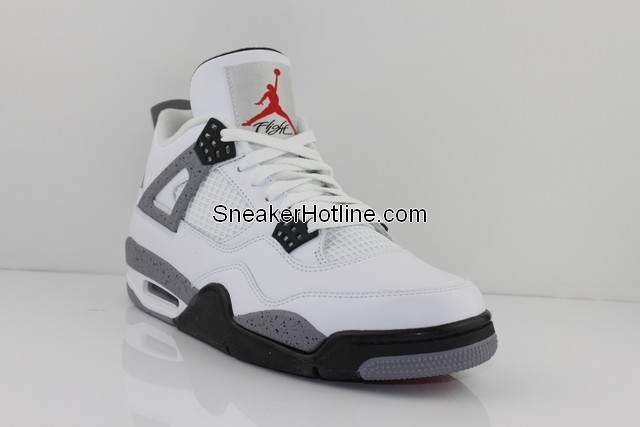 These will officially drop on Saturday, February 18th, but have popped up at various online retailers early. Retail will be marked at $160.